Save effortlessly with this free account that links to your Kasasa Cash® or Kasasa Cash Back® checking. You’ll also earn high dividends! Learn more on our Kasasa page. KSW FCU has a fun way for kids to save money with Monty Moose! 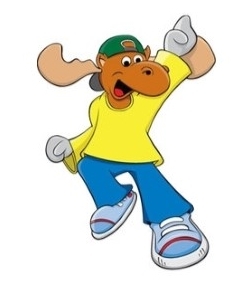 Monty Moose accounts are open to kids 12 and under. Accounts require only a $5.00 deposit. With our Monty Savings Account, kids earn Monty Moose Bucks for each deposit of $5.00 or more. They can spend those Bucks in Monty Moose Showcase. The Showcase offers a variety of toys, puzzles, and art supplies. Any child opening a new Monty account will receive 1 Buck, a KSW FCU piggy bank, and Club Wallet! Members also receive a birthday postcard of 5 Bucks, and an invitation to special contests and events during our annual Youth Week Celebration! Please note: Monty Moose Bucks have no cash value. The account holder must be present for Bucks to be given. If any member of the Credit Union suspect mistreatment of the program, the Credit Union reserves the right to deny program rewards. Subject to change without notice. Some restrictions may apply. KSW Federal Credit Union is pleased to announce a relationship with Zack Longley, a Financial Planner from Northeast Planning Associates, Inc. Zack specializes in wealth management, retirement planning, estate planning, income tax reduction, personal investment strategies, and educational funding, just to name a few. As a KSW member, you are able to access his knowledge by making a free initial appointment. Please call either office to make an appointment. More details are available at his landing page.